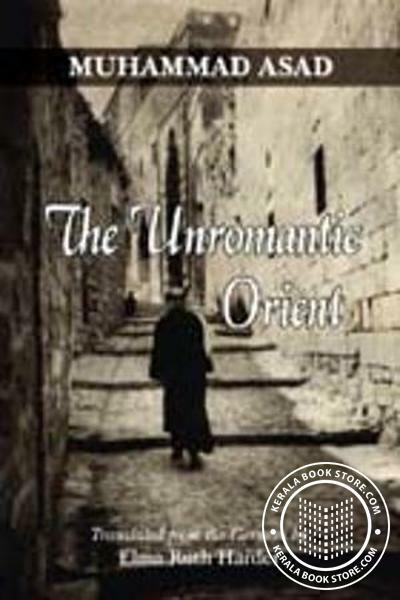 In the spring of 1922, twenty-one year old Leopold Weiss received a letter from his uncle Dorian to come and live in his ""delightful old Arab stone house"" in Jerusalem on the fringe of the Old City near the Jaffa Gate. On a foggy morning in the summer of 1922, Leopold Weiss stood on the planks of a ship on his way to the East where he would experience his first Arab encounters as if they were a presentiment of what the future held in store for him. ""It was as when you enter a strange house for the first time and an indefinable smell in the hallway dimly gives you a hint of things which will happen to you as if they are to be joyful things, and you feel a stab of rapture in your heart."" After several months of travel in the Middle East, Leopold Weiss returned to Germany and published his journal entries as Unromantisches Morgenland, aus dem Tagebuch einer Reise. This first English translation of a long forgotten work recaptures his initial experiences in an unknown and intriguing land where he found a new home and a new sense of belonging."